How should you begin to set your pricing for your services? Should you take a guess and figure it out later? 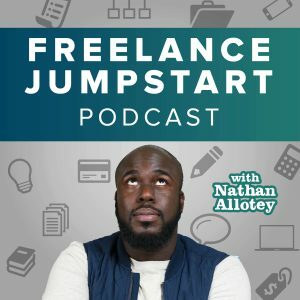 I know I’ve struggled in my career as a freelancer is trying to figure out what is the best amount to charge. The main fear is perhaps I’m leaving money on the table by underpricing and on the other end of the spectrum is overpricing and missing out on potential clients. We all have been subjected to marketing so much in our lives from childhood to adulthood and we have been test subjects of pricing experiments. One thing to recognize is there’s a certain psychological strategy to setting a price. Various prices invoke different mental and emotional responses from people based on upon their experience and perception of money. Think about if I was selling a brand new Apple Macbook Pro laptop (normally worth $2,000+) for $13 would you buy it? I have seen this thinking in action in meetings when committees are trying to decide between which freelancers to choose. A great illustration of this in action can be seen through Sarah’s story. Sarah purchased a new DSLR camera and wanted to get into photography. As she was learning the camera her friends referred a couple clients to her and they asked the dreaded question “What do you charge?” Sarah was not sure what to say, she felt like she was still a newbie and couldn’t demand a higher price so she decided on the random price of $300. Her first job and photo session went fairly well. She learned so much during that photo shoot and came to the realization that since she was accepting work she owed it to herself and her clients to get better. With a few jobs under her belt, Sarah noticed she was getting many requests and felt comfortable with raising her price from $300 to $500 (this is a 66% increase). Sarah was able to make more money and the number of inquiries for work did not decrease at all. What started as a hobby was shifting into a consistent income stream, however, there was one problem: Sarah felt too busy. All of her free time was being taken up by photography. Sure, she could easily decline the work but that would mean she is missing out of income which assisted in helping her reach certain financial goals. As a way to decrease client inquiries and still get income, Sarah then raised her price for a photography session and photo editing to $1,000. This increase was double her current rate and 3x her starting rate. So did the inquiries go down? Absolutely not. Sidebar: At this point you may be thinking, “Why doesn’t Sarah simple turn down work?” Saying no is not as easy as you think, especially when your income is tied to a number of clients you work with. Saying no may mean that you cannot make a purchase later on or pay a bill due to lack of income. Learning when to say no is a whole other topic in and of itself. Back to the story. Sarah was getting $1,000 per session but things in her personal life began to change. She was now in a romantic relationship and wanted to invest time in the relationship but the only way was to reduce her time with photography. With that in mind, Sarah yet again doubled her prices and was now charging $2,000 with the hope she could work less and still pull in the same about of income. The increase did not detour inquiries they were still coming in fairly regularly. Her dating relationship went to the next level, she was now engaged and planning for a wedding. (If you don’t know weddings are expensive so she was still taking on client work). Wedding planning took up time but she did not want to completely shut her photography down so she raised her prices to $5,000 this time. Sarah observed something different, the clients that requested her services they were often more professional and did not argue about her fees. The clients began to have higher expectations on her deliverables. Sarah had a great wedding and was now adjusting to married life. She still was available for photography services however this was not her top priority any longer. She wanted to make sure her family was now her top priority. So Sarah tried something crazy, she set her photography prices at $12,000 with the thought she may lower it again when she was ready. Finally, there were no longer as many inquiries as there was in the past and Sarah could take the time to adjust. Until one day she did, in fact, receive an inquiry for photography. The client was interested in booking her and was willing to fly her out to take photos for a destination wedding. Wow, where did this come from? That’s Sarah’s story. Is Sarah a real person? Yes. Did this pricing story happen? Yes. Did I just make this story up to prove a point? No. What exactly is happening here, does this story mean you can simply increase your prices and people will come? Of course along the way Sarah upgraded her camera and studied to become a better photographer. The main takeaway from the story is psychologically people associate price with value and everyone’s perception of value is different. Sarah stumbled into different customer segments because of the prices she was setting. Check out the video “Positioning Perception is Reality” to see how this same thing happened for me with web design. When Sarah had rates of $300 and $500 she appealed to people who were price sensitive, those who focus on how much something cost and if the cost exceeds their budget they will ask for a discount or simply go find someone else. A change in price will immediately change their willingness to buy. When Sarah’s rates were $1,000 – $5,000 she appealed to people who care more about quality and are willing to invest more funds in order to get a higher caliber of work. The clients were not as price sensitive but they wanted to make sure they received a return on investment and their expectations were a little higher. When Sarah’s rates were over $10,000 she entered a brand new audience she had never witnessed before. These were people who had no sensitivity to price and only focused on quality and value. These people know what they want and don’t mind paying more to get it. To them getting the best photographer was so important they were willing to fly the photographer to where they needed to be. Clients with this mindset associate a higher price with skills and expertise, they are not going to book a $300 photography session for their wedding. Setting your prices low is not wrong and setting prices high is not wrong either; it all depends on your strategy. At the least, recognize people do psychologically associate price with quality and you do not want to be perceived as “low quality”.